SNK 40th ANNIVERSARY COLLECTION Highlight on the Ikari Warriors Series | NIS America, Inc.
40 years is a long time for a company to be around, and many great accomplishments had to have been made to maintain the presence that the name SNK still has to this day. In order to celebrate and share this landmark with its fans and supporters, the SNK 40th ANNIVERSARY COLLECTION has been announced. With this release, fans have another opportunity to experience many of the games that have been key stepping stones in SNK’s legacy. Today, we would like to look into one of the series in this collection, Ikari Warriors, Victory Road, and Ikari III: The Rescue! Back in the year 1986, the top-down run and gun title Ikari Warriors was released in the North America and Europe where it became one of the key titles for SNK in the West. There were quite a few things about the game that made it stand out from other games in its genre. 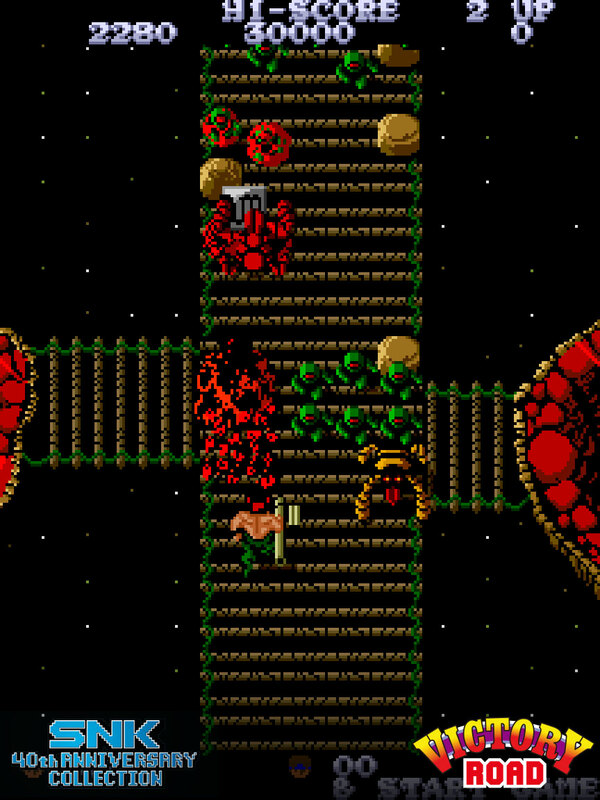 Ikari Warriors was one of the first top-down run and gun games to give the player a limited amount of ammunition, it had cooperative play with a second player (which was rare for this type of game), and it allowed the player to walk and shoot/throw grenades in different directions at the same time, thanks to the revolutionary SNK rotary joystick technology. This game was also the introduction to two key characters who still appear in SNK games today: Ralf Jones and Clark Still. These two warriors are prominent members in the King of Fighters series! After the success of Ikari Warriors, there were two more entries in the series that took Ralf and Clark on further adventures, Victory Road (1988) and Ikari III: The Rescue (1990). Each of these titles brought a unique focus to the gameplay. 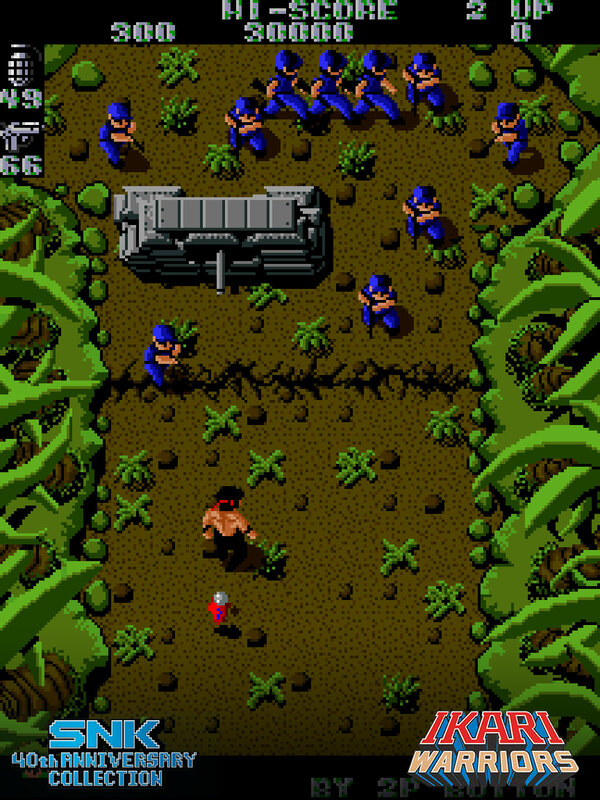 Victory Road focused on the use of guns and explosives, while Ikari III: The Rescue brought more attention to hand-to-hand combat. What does being in the SNK 40th ANNIVERSARY COLLECTION mean for this series? 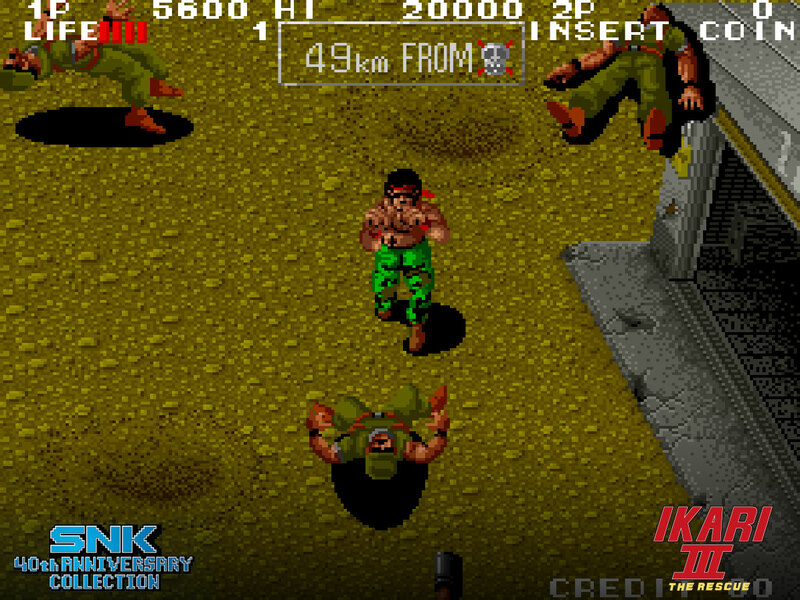 All three games from the classic Ikari Warrior series will be available in one spot on an up-to-date console that you can take with you on the go. Now you can play these arcade legends anywhere you want on Nintendo Switch and share the adventure with a friend (or anyone born after 1990) without having to bust out the ol’ NES system. Cheats, updated filters for TV and arcade modes, an updated Aspect Ratio to match today’s needs, and a new rewind & save feature have all been added! Visit our website at https://snk40th.com/ for more information, and preorder your copy from GameStop. Ultra fans can get the limited edition on the SNK Online Store!